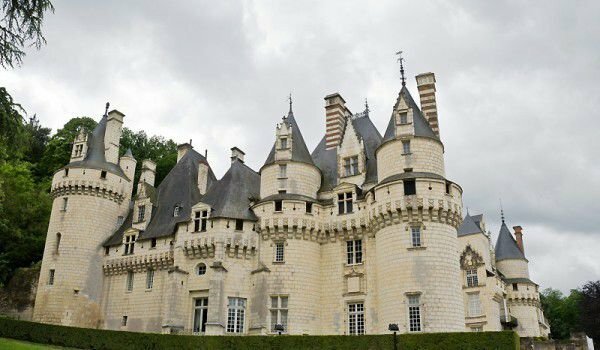 Fairytale Usse Castle stands in the charming southern end of the largest forest in the valley of the River Loire in France. This area is full of history and homes to most of the unique palaces throughout the country. 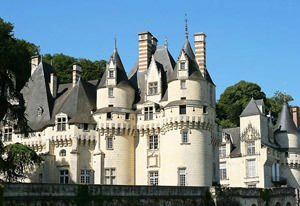 The palaces in the valley of the Loire are located within the old provinces of Orleans, Toure, Anjou, and north of Berry. Attractiveness is due to the castles and beautiful sceneries of the thick forests which are full of game for the royal hunt, the limestone areas, supplying building material for churches and fortresses and the hills covered with vineyards. Is believed that the Usse Castle had inspired Charles Perrault to write the fairy tale "Sleeping Beauty" around 1696. According to legend, one morning when all were sleeping, the sight of the high walls and round towers rising to the sky and the garden descending to the River Indre, the endless peace and quietness along this mysterious place, excited passengers and inspired him to create one of the most romantic tales which is to this day loved by children. The history of the modern Usse Castle as we see today began in the 15th century, when family Bueil were raised at the earlier ancient castle. The old buildings form a closed square with high rounded towers at the corners. In fact, the ailing towers and deep holes now seem very romantic. At the east of the castle a church was built entirely in the Gothic style and was covered by four arches with friezes. Its only decoration were portal wall piers, medallions, sculptures and ornaments within a pediment which are typical traces of the Renaissance influence. In 1659 the mansion was purchased by the Marquis de Valentene Bern. He made a great extension of the castle, adding three more extensions to the mansion. For his son, Marquis, he built a wing and transformed the classical style gardens and terraces sloping down to the shore of Indre, a tributary of the Loire. Today around the halls and corridors of Usse Castle you can see a unique collection of figures of people dressed in authentic medieval costumes, which seemed to have come out of a fairy tale.